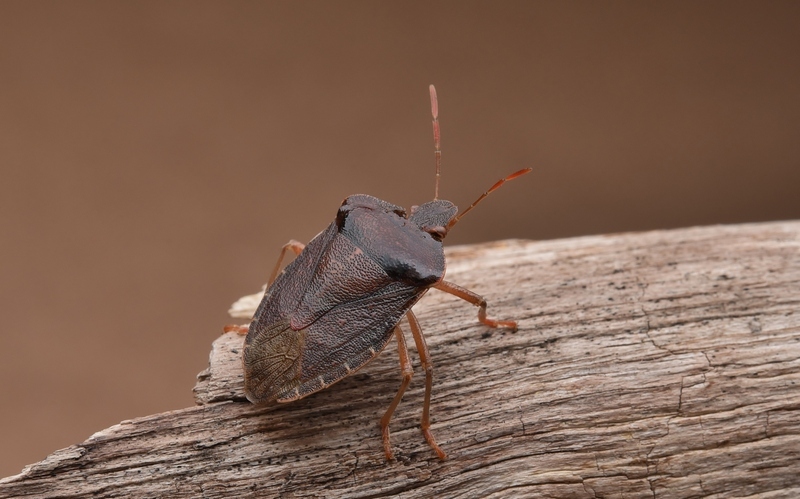 Very well captured image of a Shield Bug, Laurens. The plain brown BG lends great depth to the image. The insect is well placed in the frame. The point of view is showing the details of the Palomena Prasina. The light is giving nice tints to the colours. Have a nice day. Perfect background and color. I like details and contrast too.